An open house to celebrate the life of Michael Romanowksi, formerly of Moline, will be Sunday, Sept. 20, from 1 to 4 p.m., at Brown Deer Golf Club, 1900 Country Club Drive, Coralville, Iowa. The family requests casual attire. Michael died on Sept. 5, 2015. The complete obituary, previously published, may be found at lensingfuneral.com. Mike Romanowski, 71, died peacefully Saturday, September 5th at Mercy Hospice (in Johnston, Iowa, near Iowa City) surrounded by his family. A Memorial Celebration will be held at a later date. The time and date will be announced. In lieu of flowers, memorials may be directed the Regina Foundation for Regina Baseball, 2150 Rochester Avenue, Iowa City, IA 52245. Arrangements are with Lensing Funeral & Cremation Service. 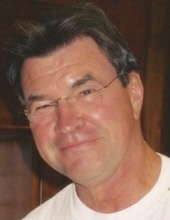 Mike Romanowski, 71, of Iowa City, died peacefully Saturday, Sept. 5, 2015, at Mercy Hospice, surrounded by his family. A memorial celebration will be held at a date and time to be announced later. In lieu of flowers, memorials may be directed the Regina Foundation for Regina Baseball, 2150 Rochester Ave., Iowa City, IA 52245. Arrangements are with Lensing Funeral & Cremation Service, Iowa City. Mike was born Feb. 7, 1944, in Moline, the son of Luke and Leona Hollins Romanowski. He was a graduate of Moline High School and was an accomplished athlete in baseball, football and wrestling. Mike carried his athletic career into college at Black Hawk College and Drake University. Mike and his wife, Ann, shared their desire and ability to be athletes until his health failed him with a diagnosis of Parkinson's disease 10 years ago followed by a diagnosis of stage four cancer four years ago. He kept fighting his medical battles for much longer than expected because we are athletes and the physical strength and mental toughness of athletics cannot be underestimated or overstated. Mike was CEO of H and R Accounts, a company he and a colleague founded in 1982. He retired in 2006. His memberships included the Congregational United Church of Christ and the Rotary Club. Mike was a Paul Harris Fellow. Mike had been a coach with the Iowa City Babe Ruth Baseball League. He is survived by his wife of 36 years, Dr. Ann (Wegener) Romanowski, and their two sons, Brian, Des Moines, and Joseph, Iowa City; his brother, Stan (Joan) Freemont, Michigan; sister-in-law, Amy (Mike) Richardson, Leawood, Kan.; brother-in-law, Ed (Ginny) Wegener, Tucson, Ariz.; and extended family, April and Brad Otto and their children, Caleb, Dillon, Ella and Fin; and Elaine Yutzy. Online condolences may be left for the family at lensingfuneral.com. Mike was the kind of guy you couldn't help but like, he will truly be missed by all, we have lost a remarkable man. I played football with Mike beginning at John Deere through sophomore year at MHS. I played on defense and often had to play against Mike in scrimmage. If there was one word to describe Mike, it was "toughness". The guy was all muscle and a real challenge to play against. I had a nice conversation with Mike a few reunions ago, and was pleased to learn he had created a successful business, in an area that seemed a great fit for him. Sadly, we seem to be losing our best athletes at a high rate. Condolences to his family and friends. I first encountered Mike in Dad's club baseball, either grade school or jr. high. I remember his teammates calling him "Ski". We always had to back up the outfielders for Mike. We always dreaded his at bats. On the MHS football team I was the backup center and I usually scrimaged against the first team defense, and Mike played middle defensive guard right in front of me. I can attest that he was one tough SOB to block. Possibibly the strongest guy in our class, certainly pound for pound. Mike was not a real talkative guy and I never got to know him very well, but I sure respected him. He played hard and clean. He was a rock on both offense and defense. And what a great smile. He was likely one of the best wrestlers in MHS history. A consummate athlete. I also recall that he made a name for himself during the '70's when arm wrestling was momentarily popular nationally. No surprise there. Very sorry to hear of his passing. Mike was always known as the tough guy. Few of us knew him as a fun, smart guy. That was the persona he wanted to display. I have to admit many of the times I had with him Lou, Dave and Stuart were out of American Graffiti. He always had a level head and helped us get out of trouble. However, later, he formed a business that made him six figure each year and sold it for over a million. Wow, Mike was smart too. Thanks Mike for the memories….. I ran into Mike a few years ago at SouthPark Mall. He was all dudded up in a suit and tie and looked terrific (and truly successful). He is a great success story. We visited a few minutes, he telling me about his sons and the gym he had in his basement for them. He seemed to be a true family man. Very sorry for his family. We've lost another great one. Seen Mike around the time he was selling his business and he talked about retiring to Florida with his wife, buying a Condo on the ocean and enjoying the rest of their lives. I grew up in the same neighborhood as Mike and went to all three schools with him he was a good friend. I knew Mike in junior high and high school. He was a wonderful athlete. He was a guard at the other end of the line from my high school sweetheart and later husband, Roger. They were tough and talented and added a lot to a great team. Teamwork was the key to success. Mike was a good guy and I'm sorry to hear of his passing. So sad to hear this news! I have so many fond memories of Mike. We first met when we were Junior High School age. He was best friends with Johnny Pappas. The 3 of us hung out, even though we lived on oposite sides of Moline. I believe we first met @ a place we all went to dance....close to the Rock Island border. What a contagious smile Mike had....it went along with his positive attitude. I always appreciated that he treated me as "one of the guys", as I never had a brother. And what a great dancer he was. Rest in peace dear Mike, you were such a good friend to many of us from MHS Class of 1962. My sincere sympthany to his wife and family. I met Mike at John Deere Jr. high school. Mike and I had a situation in Jr. High School, another situation in high school, a different situation at Black Hawk College, and a memory situation after our college days. Click here to see Michael R's last Profile entry.